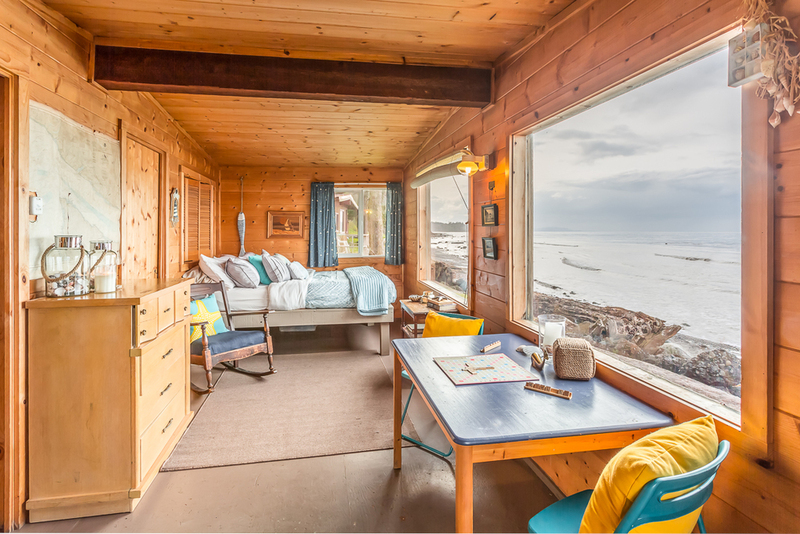 If I could choose, this would be my cabin at Camp NaNoWriMo (it’s on the Oregon coast, in case you’re wondering). That’s what happened to me at Camp NaNoWriMo this month. A revelation…about what I want to write next. But it took writing the start of two novels for me to figure that out. I had planned to write the first draft of EUNICE & LINCOLN, the sequel to my first novel, THE CONTENDERS during my time at camp. 25,000 words was my goal for July. In case you’ve never heard of Camp NaNoWriMo, it’s an online camp during the month of July (the organizers call it “an idyllic writers retreat, smack dab in the middle of your crazy life”) where you share a virtual “cabin” with other writers and support each other as you work towards your set writing goal. I started the month off great and wrote 17,321 words in the first 18 days. I was ecstatic. Then, something happened. I no longer wanted to write my story. It threw me for a loop because I’d been thinking about the Eunice and Lincoln story ever since I wrote THE CONTENDERS back in 2010. It was the story that I wanted to write next featuring my main character Eunice Yang. But, I didn’t want to work on it anymore. At first, I thought it was because I was still recovering from my time in Colorado Springs where I had mild altitude sickness (slight headache, fast heartbeat, occasional bouts of anxiety) for about a week. The hotel food also disagreed with my body and whenever I have GI problems, it can take me a while to recover. The time in Colorado did make me feel off, but I still managed to write A LOT while I was there. But, when I got back to Seattle and rested for a few days, the motivation to keep writing my novel had left me. It wasn’t fear of writing this time either. I didn’t want to work on this story anymore. I reviewed my plot and armature notes and tried to figure out why. After some investigation, reflection, and then talking it over with Marcus, I realized that the story was wrong. I had to remove one of my main characters. I had to remove Lincoln. This was heartbreaking to me because the character of Lincoln has been with me for nine years, and I have great affection for him (thanks, Catherine, for pointing out that he might be my muse). Lincoln first showed up in the original plot for THE CONTENDERS, but after wrestling with the outline for months, I realized that he was not meant to be in that story. After taking him out, everything fell into place. I figured the same thing might happen this time. So, I rewrote the plot summary and rechecked my armature. EUNICE & LINCOLN became EUNICE AND THE CLIQUE. The story made more sense once I took Lincoln’s character out. I rewrote my 17,000+ words taking Lincoln out of the story, and centering it on Eunice and her two girlfriends: her old best friend and her new frenemy. Except for personally missing Lincoln, this process wasn’t hard to do. Things felt like they were clicking, and it wasn’t just because the word CLIQUE was in the title. Then, by the end of July, all motivation left me again. Again, it didn’t feel like the fear and procrastination I’ve felt before. This was something different. I felt both spent and also anxious to start writing. I wanted to stop and start at the same time. It was disconcerting, to say the least. I was disappointed because this month had started off so well! I thought for sure that I’d reach my goal of 25,000 words. This was my third time doing Camp NaNoWriMo, and I thought the third time would be the charm. What I discovered by the end of camp was that I didn’t want to write another novel. I’m still waiting for my editor to get back to me on SAHAR & THE SEVEN DUDES, my second novel, but I didn’t want to write another book for my third project. I wanted to write a screenplay. Now, this isn’t totally out of the blue. Let me explain. It was almost 15 years ago, in fall 2003, that I started a 9-month course in screenwriting. I dived in and fell hook-line-and-sinker for writing scripts. I loved writing and I loved the screenwriting form. The class was challenging and gave me great amounts of anxiety, but I looked forward to it every week. I took the class in the evenings after working full-time at my university job, but somehow, I had sustained energy and never felt more alive. After the course ended in 2004, I continued to rewrite my script several more times. My efforts paid off. My script, BOYFRIEND GIRLFRIEND, was one of the Top 5 winners of the 2005 Washington State Screenplay Competition and finished in the top 4% out of 1700 submissions in the 2005 Creative Screenwriting AAA Competition. I couldn’t seem to improve my screenwriting skills. I got depressed by the almost impossible prospect of selling a script. I stopped writing for a while. Nearly two years passed and I started writing again, this time in the realm of children’s literature. That’s when I wrote and published THE CONTENDERS. Then, for the last two and a half years, I’ve been writing full time and recently completed my first adult novel, SAHAR & THE SEVEN DUDES. After 15 years of honing my craft, I feel ready to embark on a new adventure–one that harkens back to the journey that started it all. I’m going back to the form that made me fall in love with creative writing. I’m going to write a screenplay. It’s not a revelation that I ever thought would come out of Camp NaNoWriMo, but I’m glad it did. Thanks to the Badass Honey Badgers–Karen, Kat, Tara, Catherine, Sandy, Sti, Edgy, Bryn, Cheri, Emily, and Mary–for your support, encouragement, and general badassery this month. Write on, BHBs! Thanks for sharing more details about your 2018 #CampNaNoWriMo experience. Loved reading about your screenwriting past too. There’s something about July 2018 and its revelations. I can identify for I had to come to terms with my desire to move on from a great job I’ve had for 15 years. Nothing at all wrong with my current job, but I woke up one morning with a revelation that it was time for a change because I have changed. The fact that my mind even went there was surprising. And that I even took action by applying for another job is even more surprising. I didn’t try to talk myself out of it then, nor have I since. The biggest revelation of all, to come to terms with, is that I no longer desire to write the memoir I’ve been working on for years. The memoir that brought us together as writer and coach, and now friends. The one I told Simon I would write someday. And don’t feel at all responsible, Peg, but your announcement during #CampNaNoWriMo had something to do with my decision. Your writing about letting go of Lincoln and him being your muse allowed me to admit to myself that I was ready to let go of my memoir. I made this decision less than a week ago and it’s been so liberating. In a way the memoir has been holding me back. Preventing me from truly moving on to new ideas and directions that will help me improve as a writer. As much as I loved the idea of it, the memoir, at one time, it no longer felt right for me. I feel like the air is fresher now and not so stagnant. So, it’s all good. Anyway, your post resonated with me, and I got so much out of it. Thanks, again. I wish you the best with your screenwriting endeavors and look forward to reading about your continuing discoveries. LOVED reading this, K! I’m incredibly excited for you that you applied for a new job AND decided to drop the memoir you’ve been writing for years. This is HUGE. Often, letting something go is just as hard (or harder) than continuing to work on a challenging project. I know how much the story of you and Simon’s friendship means to you. At the same time, I’m so glad you had a revelation about it (you’re right, July 2018 was the time for revelations!) and followed your intuition and let it go. It’s great that it feels liberating. I felt the same way after I decided to stop working on a novel and instead, write a screenplay. You did the right thing. Thank you so much for letting me know of your decision, and how you came to it. I only feel JOY for you, and I can’t wait to hear more about where your writing takes you. Sending you a big hug and a high-five! I can’t say why but I got the BIGGEST thrill with the thought of you writing a screenplay!!!! You GO!!! I also LOVE how you describe and take us through the powerful journey of how you feeling/sending body-your intuition guided, nay, demanded this revelation! And how you can so clearly differentiate those messages from fear and anxiety! Wow! Thanks Peg! I’m inspired by your inspiration! Thanks, Kim! Your enthusiasm and encouragement came right through your message right to me. I can feel your love and support. Thanks too for letting me know what from my post inspired you. I try to be as honest as I can and I’m glad it’s coming through. It’s a new thing for me to be able to differentiate between fear, anxiety, apprehension, resistance, and why these things are happening and where they come from. It’s always a work-in-progress, but I’m getting better at it, slowly but surely. Thanks again for writing and sending me good vibes!!! I’m not that surprised, Peg! I knew about your past experiences with screenplays and your ongoing friendship with screenwriter/teacher B McDonald so you have come full circle. Now that you have two books completed I think it’s a natural step for you to return to screenwriting again. Congratulations! I think you’ll write a good one. Thanks so much for the kind words and vote of confidence, Mary! 🙂 You put it well. I do feel like I have come full circle.